Now the access is free! Now the access to it is free. We encourage you to acquaint with articles presented there. Different from the stacked seismic data, pre-stack data includes abundant information about shear wave and density. Through inversing the shear wave and density information from the pre-stack data, we can determine oil-bearing properties from different incident angles. The state-of-the-art inversion methods obtain either low vertical resolution or lateral discontinuities. However, the practical reservoir generally has sharp discontinuities between different layers in vertically direction and is horizontally smooth. 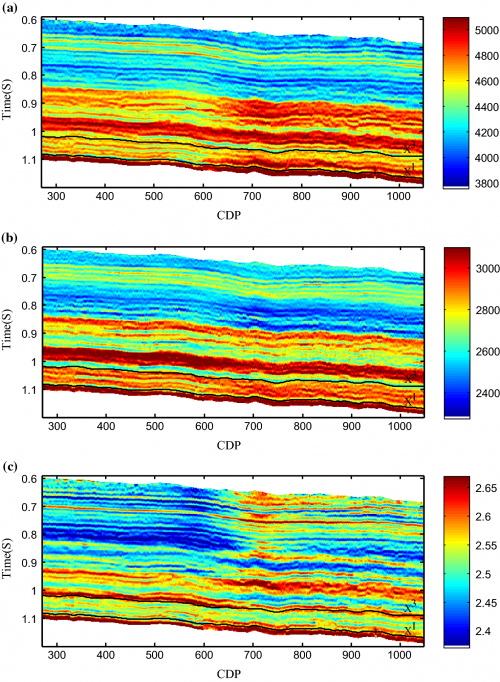 Towards obtaining the practical model, we present an inversion method based on the regularized amplitude-versus-incidence angle (AVA) data to estimate the piecewise-smooth model from pre-stack seismic data. 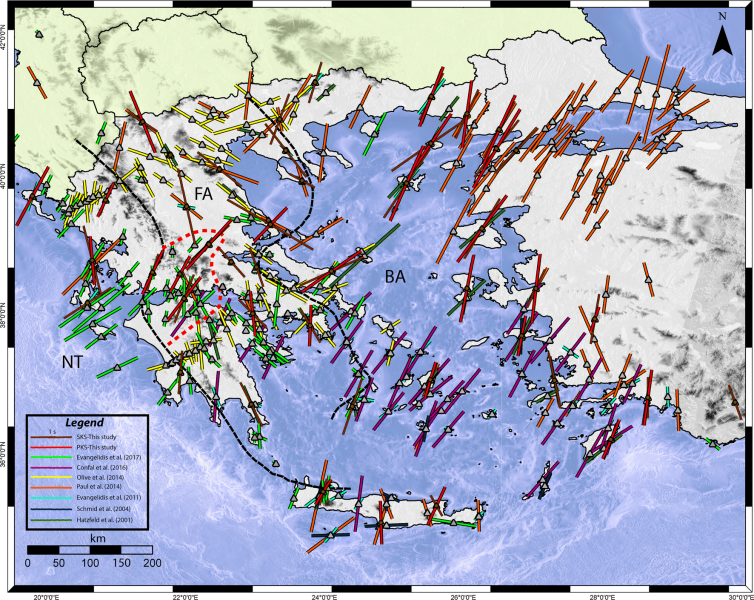 SKS and PKS splitting parameters were determined in the broader Greek region using data from 45 stations of the Hellenic Unified Seismological Network and the Kandilli Observatory and Earthquake Research Institute, utilizing teleseismic events that occurred between 2010 and 2017. 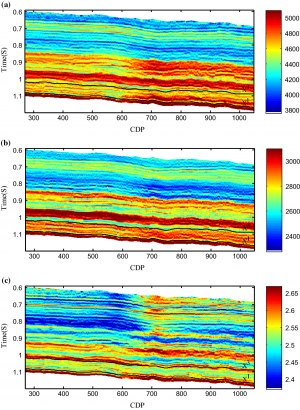 Data were processed for shear-wave splitting with the Minimum Energy Method that was considered the optimal. The results generally confirm the existence of anisotropic zonation in the Hellenic subduction system, with alternating trench-normal and trench-parallel directions. advanced algorithms including full, sequential and increasing embedding,genetic algorithm and hill climbing in combination with the gamma test. (BFGS), back-propagation and a local linear regression technique.